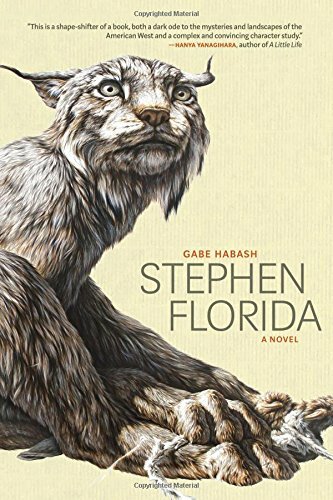 Gabe Habash’s debut is a masterful exploration of the human condition and survival through a fragile, flawed character. The narrative walks off the very first page, grabs hold, and knocks you to the mat. Stephen loses his parents at age 14, is left in the care of a grandmother who also died, which left him orphaned, alone and looking for escapes. He had told his grandmother he was going to college to wrestle, and she helped him out financially. The young man said he would bury a piece of his championship trophy next to her. In his last year now, Stephen becomes obsessed by winning at all cost. He meets and falls for Mary Beth who loves him but wants to leave their isolated town to take a job in Michigan. After she’s gone, Stephen finds himself pulled back to her again and again. “. . . I immediately think of Mary Beth, and that feeling is maybe astonishment, or between that and the nameless feeling that inspires you to crawl along the floor, grasping the unutterable.” She is the only solid footing, the only chance at redemption in Stephen’s life other than wrestling. But a sudden injury to his knee and personal setbacks threaten his championship and whatever is left of his sanity. As Stephen relentlessly purses the championship, the stakes get higher, poor choices are made and the losses stack up. Stephen Florida is reminiscent of the glorious way Walter Tevis (The Queen’s Gambit ) wove his brilliant story around chess, but finding out it is much more than athletic ambition. Habash’s wrestling tale is an intelligent, unforgettable debut about human struggles, isolation, dark fears, and the descent into madness. Stephen Florida will be a book other literary achievements will wrestle with for the title of Best Read of 2017.